The world order as we know it is currently undergoing profound changes, and in its wake, so is foreign aid. Donors of foreign aid, development assistance or development cooperation around the world are already facing new challenges in the changing development architecture. This is an architecture that globally seems to become increasingly forgiving of foreign aid as a win-win concept that also meets the donors’ own national interests—something that has been an unofficial Japanese trademark for many years. 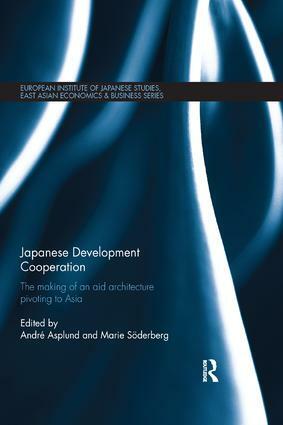 This book examines Japan’s development assistance as it transitions away from Official Development Assistance and towards Development Cooperation. In this transition, the strong and reciprocal relationships between Japanese development policy and comprehensive security, diplomacy, foreign, domestic and economic policies are likely to become even more consolidated and integrated. The utilization of, and changes within, Japanese development policy therefore affects not only recipients of foreign aid but also the relationships Japan enjoys with its allies and strategic partners, as well as the relations to competing donors and rivals in the region and around the world. Japanese foreign aid as such provides an extremely interesting case from where regional and even global changes can be understood. Written by a multidisciplinary team of contributors from the fields of political science, international relations, development, economics, public opinion and Japan studies, the book sets out to be innovative in capturing the essence of the changing patterns of development cooperation, and more importantly, Japan’s role in within it, in an era of great change. This book will be of great interest to students and scholars of Japanese Politics, Foreign Policy and International Relations. 8. The Changing Global Aid Architecture: An Opportunity for Japan to Play a Proactive Global Role? André Asplund is a Post-doctoral Associate and Lecturer at the Program in Japanese Politics and Diplomacy, Yale University, USA. Marie Söderberg is a Professor and the Director of the European Institute of Japanese Studies at Stockholm School of Economics, Sweden.